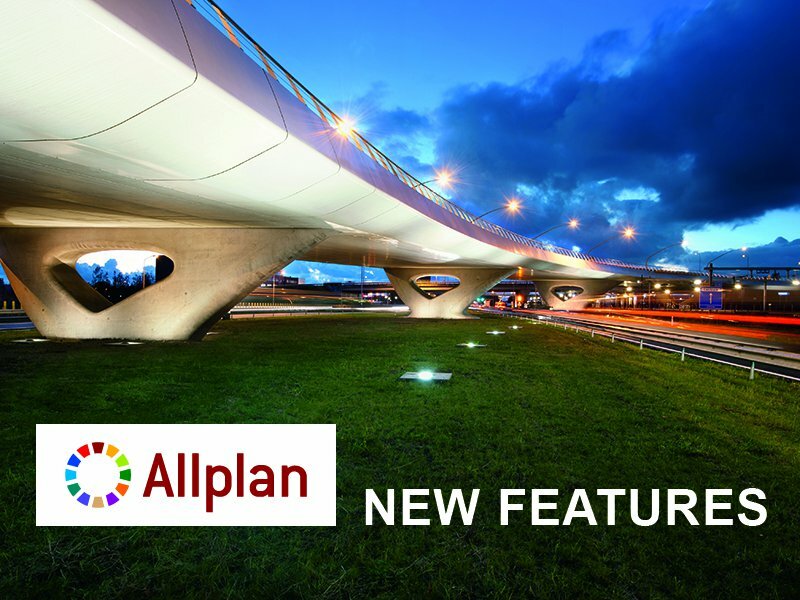 In civil engineering or when designing tunnels or bridges, benefit from Allplan 2015 innovations that increase efficiency. Tasks that were previously complex, such as creation of sections along curves or modeling of tendons, which once took hours or even days, can now be completed in a short space of time. Another new feature is the creation of professional, photo-realistic presentations for competitions and customer acquisitions directly from Allplan – even without in-depth expert knowledge. Create exact sections along any axis with just a few clicks. For structures, you can now define and calculate sections in just a few clicks along arcs, clothoids and splines (not just along straight lines, as before). The creation of these sections is now so much faster and easier that the work is finished in seconds, rather than hours. Bridges and other structures with a large span are often designed as pre-stressed concrete constructions. With a new tool for modeling of tendons, the time you need for the 3D planning of pre-stressed concrete constructions is now considerably reduced. The new tool determines the double-curved 3D form of the tendon from 2D representations in the site plan and longitudinal section. To enable you to further increase your efficiency in reinforcement planning, we have introduced the familiar direct editing and handle options for linear placement of reinforcement. You can now change important parameters such as the piece number and spacing in the direct vicinity of the placement. You intuitively adjust the placing area using handles. With the real time renderer, you can create a realistic, interactive animation of the 3D model in just a few seconds. You therefore have an immediate visual feedback and can check various views, camera settings and materials. In this way, you can select the best possible scene setup. In the render materials, you set uneven surfaces (bump maps), reflections or luminous objects and thus you achieve a high level of detail. You can create high-resolution renderings with the help of the extremely powerful CINEMA 4D Render Engine integrated in Allplan for the first time in this version. The work previously needed to synchronize models in Allplan and CINEMA 4D is thus no longer necessary. In many cases you will not need to purchase, install and maintain an additional external visualization solution that you will need to familiarize yourself with.